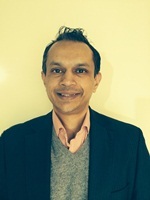 I am a consultant cardiologist at Royal Bolton Hospital, and visiting interventional cardiologist at Manchester Royal Infirmary and Wigan Infirmary. My subspecialty interest is coronary intervention. As a registrar I trained in the North West Deanery before spending a year as Interventional Fellow in Massy, Paris. My research interests are bifurcation disease and transradial PCI. I am particularly interest in medical education. I am part of the cardiology North West STC, help to organise educational meetinggs (including regional training days, national meetings like Heart Live and Essentials of Radial Access, and International meetings such as Transradial Masterclass and RITA Europe), and have completed a Postgraduate Certificate in Medical Education.